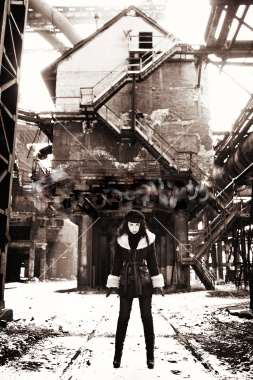 The smoke seeping in from under the diary room door was making the atmosphere more and more acrid with each rasping breath. It wouldn’t be long before I blacked out. It was action now or curtains for me. I took a run and smashed the door off its hinges and dived out into the room as a salvo of bullets from a plasma rifle annihilated the wall that had been my refuge. I rolled across the floor until I reached the sofa where I hid. From where I lay panting, I could if I wanted to look up the skirt of one of the two half-naked female contestants who were seemingly unaware of the pitched battle raging around them. They talked about their breast implants and hair extensions as burning fragments of the ceiling tiles rained down onto them. 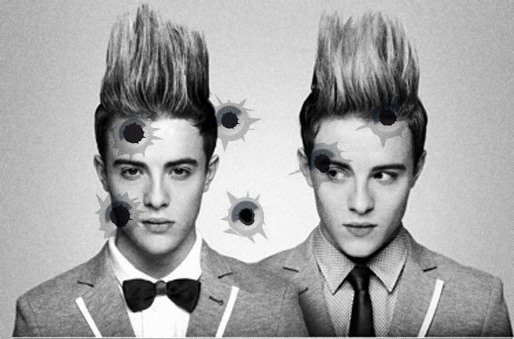 I was more concerned with the trail of bullet holes inching its way across the floor towards me as one half of the push-me-pull-you pop hydra Jedward got its range in. I stuck my head up and let off a couple of volleys from my chaingun but all it did was ruffle a few hairs at the tip of its quiff. It taunted me from behind a pillar, every time I got close the haircut would disappear and another one just the same would appear on the other side along with more plasma bullets heading my way. Ammo was running short, from now on I had to make every shot count. I was momentarily distracted by a beeping sound and a bolt of searing plasma just missed my head.